CONCEPT As more and more people worldwide are becoming health conscious, clean eating and whole foods movements are flourishing. Delicious Taipei has found that there is both a lack of information and accessibility regarding healthy eating in Taiwan. 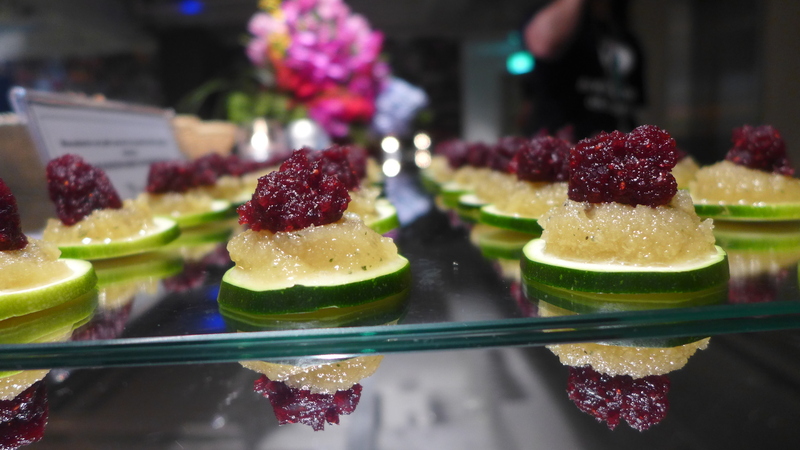 We have also discovered that there is an overwhelming interest in gourmet raw food after holding ten successful workshops in 2012. We believe that with the right venue, there is an even bigger market to tap into and even more healthy and delicious avenues to explore. RAW FOOD Raw foods are fruits, vegetables, nuts, seeds and grains that have not been heated above 40°C. Consuming these foods in their natural state ensures that they are not only fresh, but remain packed with enzymes, vitamins, and nutrients. Uncooked and unprocessed foods are also rich in phytonutrients and micronutrients, which are essential to maintaining an alkaline state in our body and preventing diseases. Delicious Taipei invites guests to explore the concept of a raw food lifestyle. CANAPÉS Canapés are a type of hors d’oeuvres, or bite sized decorative morsels of food, that pack a lot of flavor and exude an air of elegance when served. These gourmet appetizers take little time to prepare and are far from fiddly when put together. Serving these posh finger foods accompanied by a glass of wine is the way to wow even the finest epicurean palate. Join me on July 6th from 14:00 – 17:00 as we discover the world of raw food by making two exquisite canapés and one gourmet, delicious dessert. This canapé is filled with the aromatic fragrance of fresh rosemary and the vibrant tones of garlic which perfectly accompany the tart fruitiness of cranberry chutney. The nut protein ensures that your guests will feel full and satisfied. 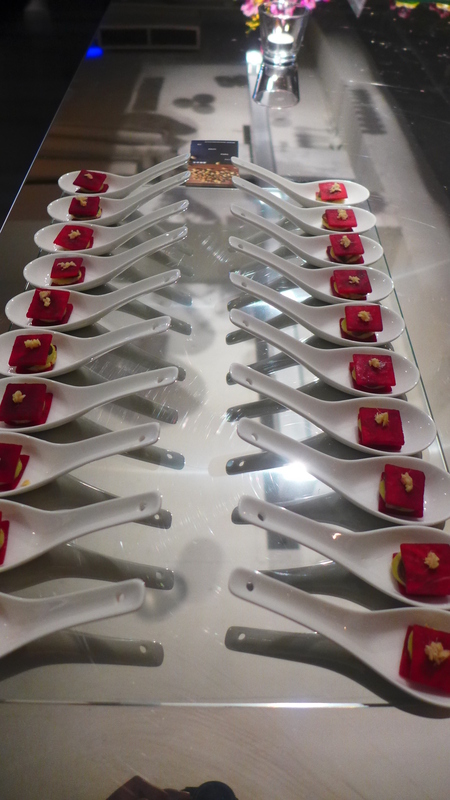 So even though these are only vegetables, nuts and fruit, they produce a gourmet canapé that will surprise your guests. Loosely based on the idea of Italian ravioli, this raw version brings out the Asian flavours we all know and love – ginger, garlic and chili in a decadent cashew/avocado cream. Topped with salted ginger, this canapé is so unusual, most people would not even be able to imagine its personality. Showstopper stuff! No flour, no refined sugar, no eggs and no milk. If it’s raw, you can be sure, it will be better than any baked dessert you have ever tried. 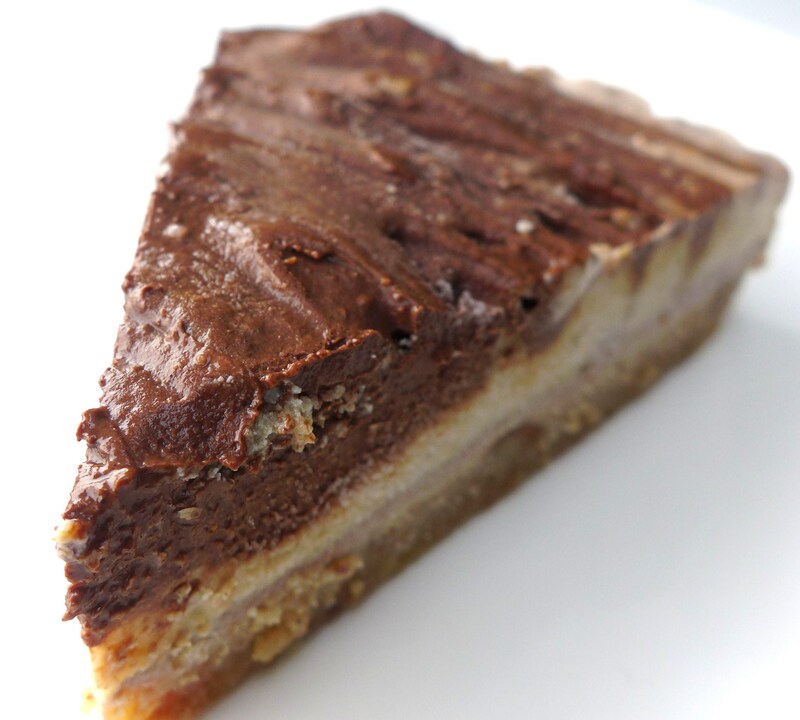 This cake is made with walnuts and figs as the base (fibre, fibre, fibre! ), banana, vanilla, lemon, avocado and raw cacao as the topping. It sets like a firm cheese cake and will absolutely blow your socks off. This summer, go gourmet but stay healthy with DELICIOUS TAIPEI! 2. Conversation will be limited to breaks only. 3. Cell pones should be on silent and no calls should be accepted during class time. You may however, click away on your phone camera should you wish. 4. We will start precisely at 14:00 and end precisely at 17:00. Please be on time. by no later than July 3rd. 7. This workshop is limited to 14 participants only. 8. Please contact: prish(at)delicioustaipei(dot)com/ 0975-021-931 for any questions. This entry was posted in General, Workshops and tagged avocado, Cashew, cocktails, cranberry, food, Macadamia, raw food diet, raw food workshop, Raw foodism, summer canape, Taipei, Taiwan, Vegetarianism, zucchini by Chef Prish. Bookmark the permalink.